SWISSVALE, Pennsylvania (WABC) -- Jeni Stepien waited 10 years for this day. On the eve of her wedding day, Jeni met for the first time, the man who now lives with her father's heart. It was a meeting filled with emotion for Jeni, and the entire Stepien family. 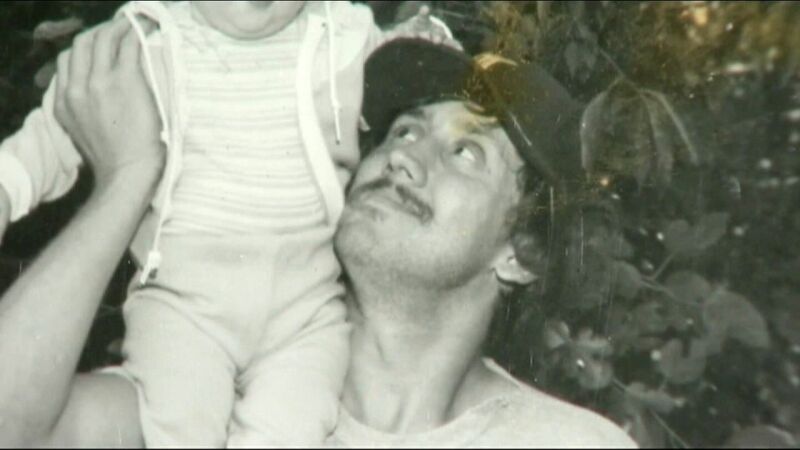 Jeni's father, Michael Stepien was murdered back in 2006. He donated his organs, including the heart Arthur Thomas had been waiting 16 years for. On Friday, Jeni felt her father's heart beat for the first time in a decade. "I am so excited. It's like the whole family's here now. It's like everybody's here," Jeni said. Click on the video player above to watch the full story. Thomas and his wife traveled to Pittsburgh from New Jersey to be there for Jeni's big day. Everyone gathered at St. Anslem Church in Swissvale, where the ceremony took place. 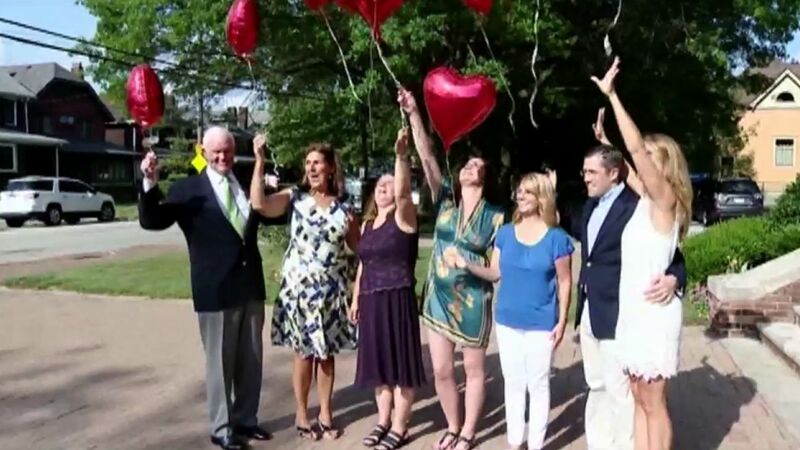 "We've been talking to him and writing letters and calling, and receiving flowers and sending gifts for the past 10 years, and now it's finally here," said Jeni. "Just hugging him made me feel like I was close to my dad again, which on this day was perfect. It was what I needed," added Jeni's sister, Michelle Stepien. However, there is even more to this special meeting. "Jeni wrote me a letter, and she said 'Tom, I'm the daughter of the man whose heart's inside you, and I'm going to get married on August 6th. One further thing, if you're willing - would you walk me down the aisle?'" said heart transplant recipient Arthur Thomas. Thomas got the OK from his daughter, and the rest is history. "First person I'll ever be walking down the aisle," Thomas said. Jeni said it was just like having her dad there on her wedding day. "And just better because we get to share this story with other people and, you know, other people see that organ donors do matter," she said.